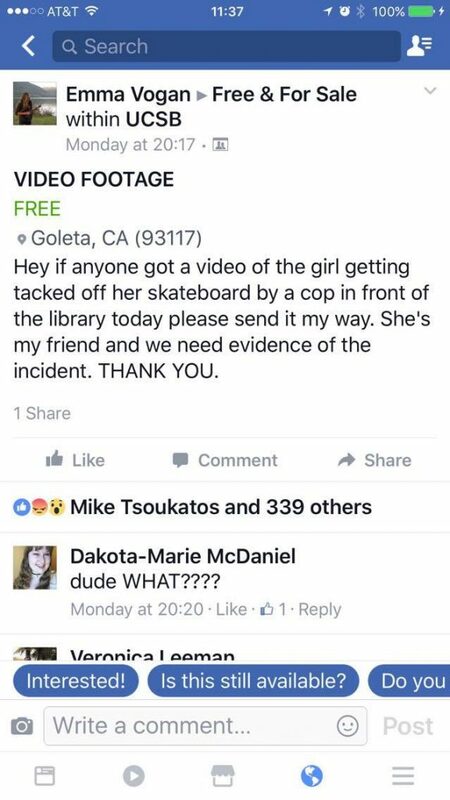 The UCSB Police Department is under scrutiny by students after an officer tackled a UCSB student, Erin Morgan, off her skateboard while she was illegally skateboarding through the Arbor. The incident happened to the fourth year zoology major, who’s graduating in June, on Monday, February 27 at 3:22pm and has since been widely debated on Facebook. We spoke to Erin and first year eye-witness Jonah Catalon who filmed the event. This is confirmed by Erin who told us she has “cuts and bruises” from the incident. 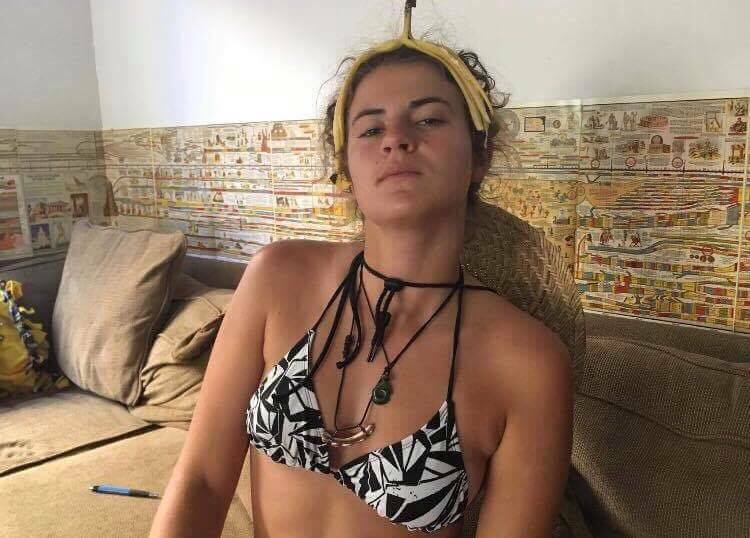 According to Erin, “myself and my backpack were searched, and they took my banana.” Morgan was not released from the Santa Barbara County Jail until Tuesday, February 28 at 1:20am on a $2500 with the charges of resisting arrest and battery on a police officer. Erin was upset following the rough response of the police. 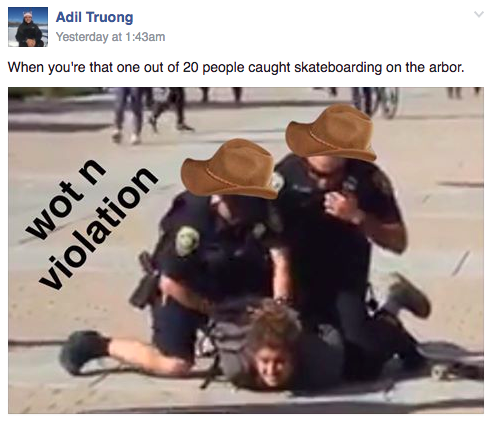 Jonah, who witnessed the entire event, commented on how the officers were not giving citations to all individuals who were skating or biking through the Arbor, just a select few. The officer gave Jonah two choices on how to pay for his citation. “My choice one was a $400 ticket for skateboarding with my earbuds in. Choice number two was to pay a $35 fee and attended a one time one hour safety class.” However, the officer repeatedly asked the question. Jonah said: “It felt like an effort to possibly provoke me.” It was when the officer was taking down Jonah’s information at about 3:22pm that Erin decided to leave the scene, and when Catalon had the opportunity to take the video provided. Erin didn’t feel she deserved the rough treatment. According to Jonah, at 7:00pm that same evening, the officer that gave him the citation called him from an unknown number.